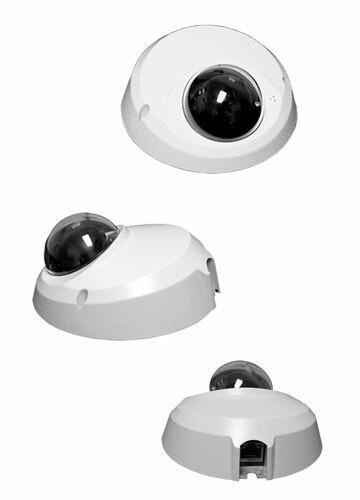 Outdoor dome camera with varifocal lens, smoke dome and advanced OSD menu. 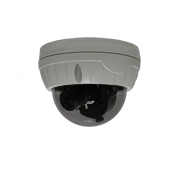 Super mini high resolution outdoor turret camera with IR and anti-vandal features. 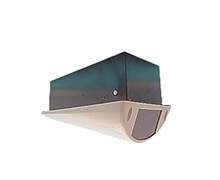 Mounted on wall or ceiling, this indoor megapixel IP camera is perfect for many environments. The BCL-IP550MP contains a Sony 1.3M progressive scan CMOS video sensor and has tamper resistant features that set it apart from the competition. This economical package provides simultaneous dual streaming outputs using H264 and MJPEG video compression and can produce images in light as low as 0.001 LUX. Built-in camera functions include motion detection, privacy masks, 16x digital zoom and audio support (a built-in microphone is provided, and you can add speakers - not included - for full 2-way communication). Our powerful CMS software (included) gives you full recording capability and more, turning this camera and your attached client PC into a digital video recorder, with the size of your HDD determining how much recording space you can enjoy. Watch multiple IP cameras, program recording schedules, communicate with personnel being monitored on site, save screen shots and adjust other settings remotely. Please click here for a PDF format Spec. Sheet.